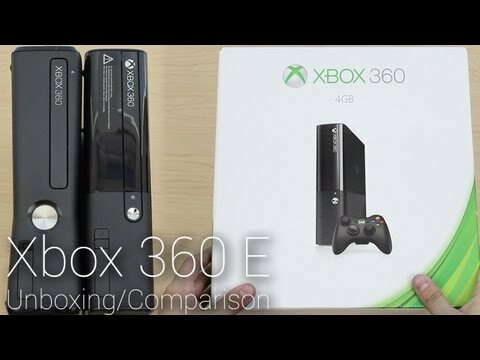 To many consumers, there would seem to be very little difference between the XBox 360 and the XBox 360 Slim, but upon closer examination, a variety of changes have been made to the slimmer version of the popular gaming console. How do these two gaming systems compare and contrast with one another? Let’s take a look. 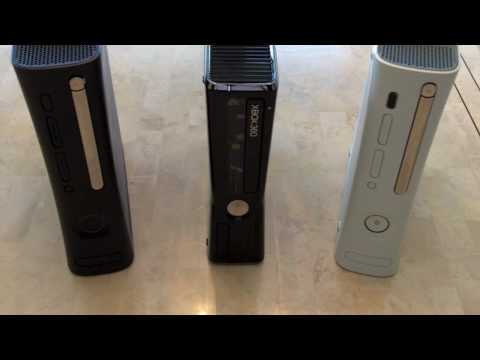 While these two models are both members of the same family, the XBox 360 Slim is not only smaller than the original XBox 360 model, but also comes in an array of different color schemes that were not available to consumers. Instead of only having a dull off white or black coloration to choose from, the XBox 360 Slim is clad in a shinier black gloss coating. Clearly, the 360 Slim model weighs much less than the XBox 360, but it is not so slim that you will lose it inside of your home. It is important to note that the Slim can be safely hidden behind the XBox 360 model, however. Consumers had regularly complained about the XBox 360’s dependence on a wireless connection. Being able to connect to the Internet with ease is a feature that most serious gamers crave and after attempting to entice users with the XBox Live service, this issue was rectified during the creation of the Slim model. Now, Xbox 360 Slim users are able to enjoy a top notch wireless Internet connection, the ability to connect quickly and can also connect to the Internet from any location, as opposed to being forced to remain within the cable’s length from their wireless router connection. The XBox 360 Slim also comes with enhanced storage capabilities, which was another common complaint from XBox 360 owners. The storage is still removable, but has been expanded from 160 gigabytes to 250 gigabytes. This gives users increased ability to store all of their movies, music, game progress and any other odds and ends on their own drive. The consumer is not limited to the storage provided by the XBox 360 Slim, either. If you should require additional storage, you also have the option of plugging in your own external storage unit. For those who are particularly worried about storage capability, the XBox 360 Slim is the system of choice. The noise factor has also been a point of contention for the XBox 260 aficionado. Even the most charitable observers compared the noise level that was created by turning on the console to standing next to a jet engine. Microsoft heard the complaints and rectified them before putting out the XBox 360 Slim, creating a quieter system that is easier on the ears. The controllers remain the same and there is only one in the standard packaging for each system. When it comes to using Kinect, there are some major differences. While it does work for both of the consoles, it does not work as easily for the older XBox 360 model. There will be instances where the console does not provide enough power to run Kinect on its own, it will need to be plugged in separately. The 360 Slim comes with a socket in the back that allows you to run the system and Kinect on a single connection. This decreases the amount of clutter in your entertainment area, which is a huge plus for those who own multiple gaming consoles. Neither system has Blu-Ray capability and no changes have been made to the console’s speed. The value conscious shopper may simple decide to opt for the original XBox 360. While the 360 Slim has been reasonably priced and cost the same as the older model upon release, stores that wish to liquidate their stock of the older models often decide to slash the prices on the original 360. Microsoft has discontinued production on the 360, which means retailers everywhere will be looking to get rid of their stock. Deciding between the 360 and the 360 Slim is a matter of personal preference. Many of the most important aspects of the 360 have not been changed or altered in any way, which decreases user motivation to head out to the store and spend $199 or $299 on a brand new system. The 360 Slim’s total package is superior to the one offered by the original 360. For users who have been complaining about the 360’s lack of storage capability and inability to formulate a rapid wireless connection, the 360 Slim is the way to go. Increased freedom to connect in a wireless fashion is typically the primary motivating factor for users who eventually decide to make the switch. Unless you are particularly infatuated with the 360 Slim’s particular feel and look, there is very little reason to make the switch. USB drives can be used on the original 360 to increase the storage capability and if the lack of wireless is problematic, a wireless dongle can remedy this issue. The single socket plug for Kinect is a plus, but many homes have additional plugs behind their television set and can handle multiple connections. There is no denying that the 360 Slim looks much cooler than its older, more clunky counterpart. If you have recently experienced issues with your 360, then the 360 Slim is a more than adequate replacement. But, it is important to remember that most of the differences between the two system are merely cosmetic in nature.